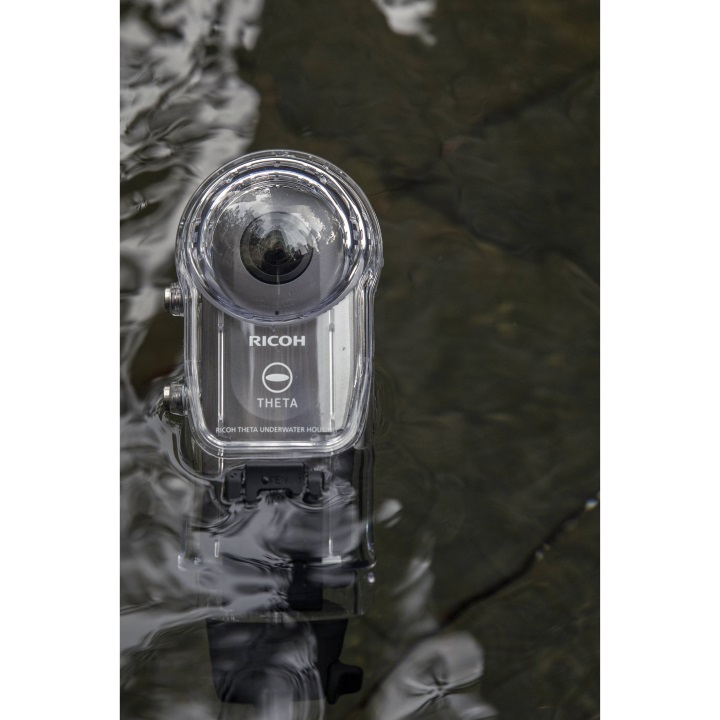 Capture brilliant UHD 4K or Full HD 1080p video and beautiful stills of parrot fish and coral reefs with your Ricoh Theta V, S, or SC digital camera in the TW-1 Underwater Housing. A silicone frame is included for use with the Theta S, while the others will fit snugly as they are. 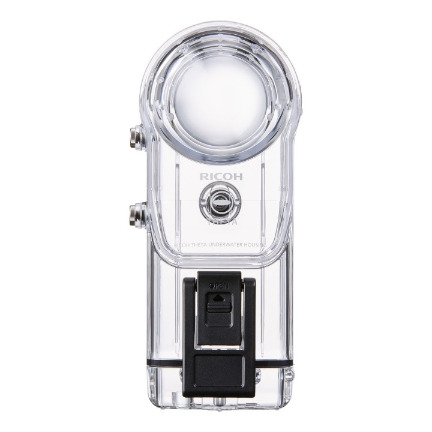 The enclosure has a depth rating of 98' and meets JIS Class 8 specifications, meaning it will remain sealed to prevent liquid ingress during continuous immersion in water. Its mechanical push-button control affords easy access to the camera's shutter release/video recording function. 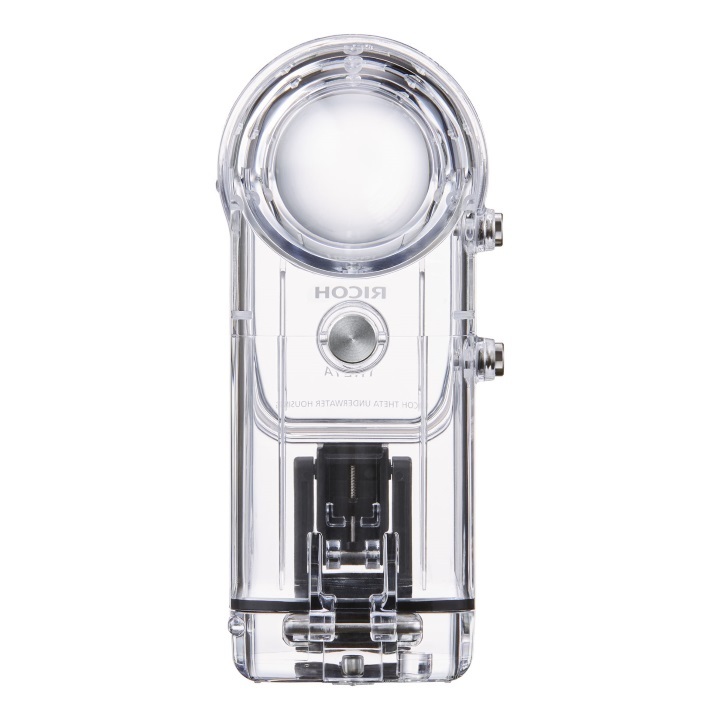 Built to last, the housing is made from a hard plastic, which is clear to allow you to monitor the O-ring seal and maintain a full view of the camera. The surface features a hard coating for extra durability and an anti-reflection coating to reduce glare for improved visibility. 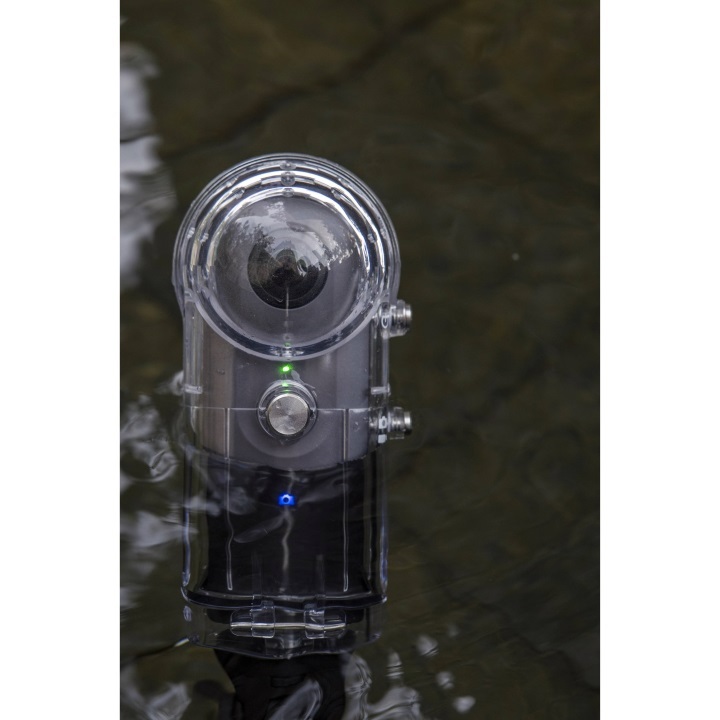 The built-in dome port covers the lens and corrects for the underwater size distortion that makes everything appear 25% larger and closer, thereby helping to restore the camera's original angle of view to give you greater coverage. 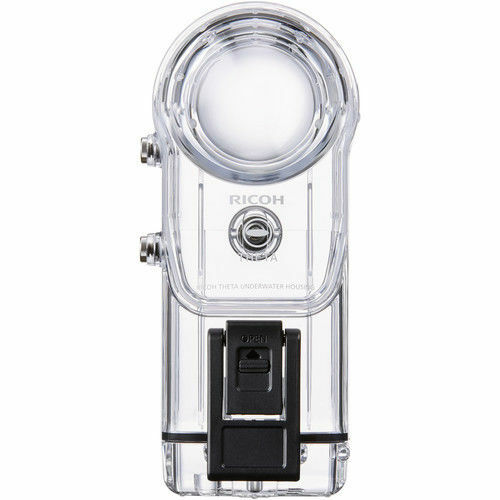 Additionally, a convenient carrying case and strap are included with the housing.